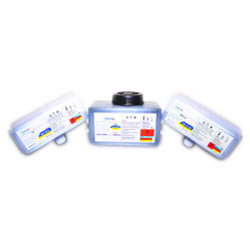 Inkjet Printer Inks and Make-ups are supplied in completely compatible Cartridges. On request, these products can be supplied in 1 Lt, 25 Lt, 200 Lt containers. Inks, Make-ups and Wash Solutions are fully compatible. 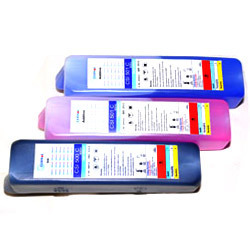 Inkjet Printer Inks are supplied in 800 ml Cartridges for S 7 models, 9000 series and 1 Lt bottles for S 4 and S 8 models. On request, these products can be supplied in 1 Lt, 25 Lt, 200 Lt containers. Inks, additives and wash solutions are fully compatible. 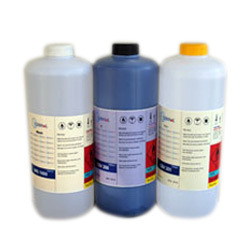 Inkjet Printer Inks and Make-ups are supplied in bottles designed to fit directly into the printers. On request, these products can be supplied in 1 Lt, 25 Lt, 200 Lt containers. Our multipurpose fast dry inks with better adhesion, Make-ups and Wash Solutions are fully compatible. Looking for Inkjet Printer Inks ?